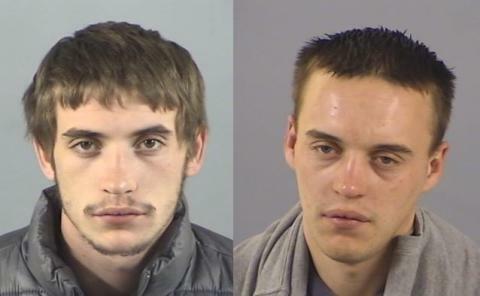 Charlie George Thomas Cooper, 19, of Ashby Road, Totton, and Sidney Andrew Cooper, 26, of no fixed abode, have been sentenced to life in prison after they were convicted on Friday 22 March following a three-week trial at Winchester Crown Court. The jury found them guilty of murdering the victim in Salisbury Road, Totton, on Saturday 25 August 2018. The victim was taken to hospital but was pronounced dead on arrival. He had two stab wounds to his chest and abdomen. Today, both were sentenced to life in prison. Sidney Cooper will serve a minimum of 18 years and Charlie Cooper will serve a minimum of 15 years. Detective Superintendent Tim Rowlandson said: “This was a vicious attack in which the victim was repeatedly punched, kicked and stabbed. “Our thoughts today are with Courtney’s family, his partner and his child, who will live with the effects of this incident for the rest of their lives. These sentences cannot bring Courtney back, but I hope they allow them a degree of closure on this tragic incident.